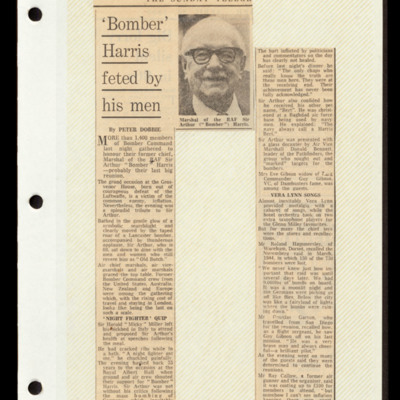 Newspaper article about the Bomber Command reunion dinner in April 1980, featuring a photograph of Sir Arthur Harris and Dame Vera Lynn. 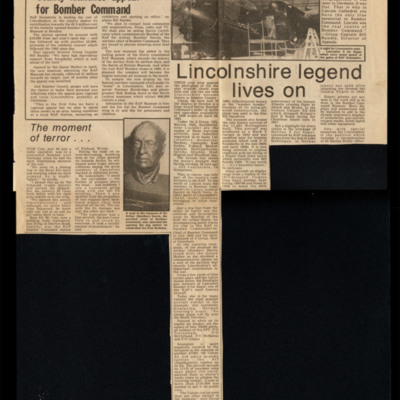 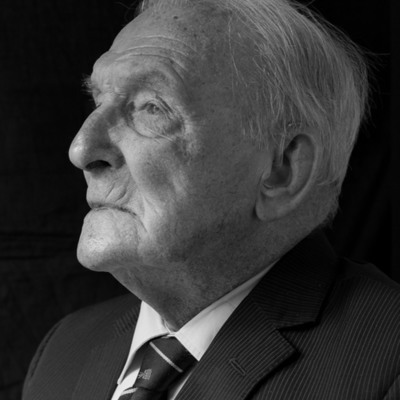 Newspaper article detailing the dinner and reunion at Grosvenor House attended by 1400 members of Bomber Command. 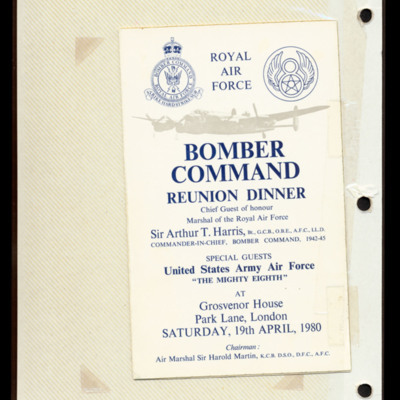 A leaflet promoting the Bomber Command reunion dinner to be held at Grosvenor House, London on 19th April 1980. 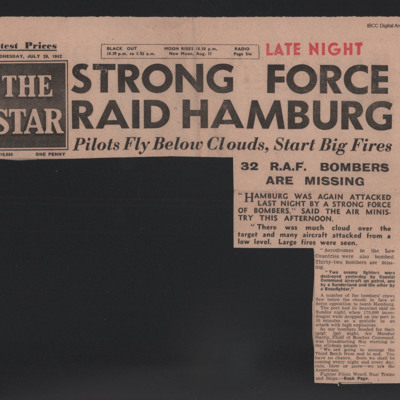 Description of an operation to Hamburg where 32 bombers were missing.